Although there are dog breeds that are usually tagged as aggressive, the tendency to react aggressively is in a dog’s nature, regardless of their breed. It is part of their personalities, just like how we tend to react a certain way in certain situations. Just because your dog growls at the sight of a stranger or another dog, does not mean they’re about to attack or that you’re in big trouble. It takes time to understand how your dog behaves and what you can do to help control their aggression. What triggers aggression in your dog? Aggression is triggered by several factors, and one is fear. Note that dogs do not always understand our intentions. They respond according to how they perceive the situation. When they think they are in danger, chances are they will try to protect themselves. Another factor is their protective and territorial behavior. Dogs tend to be aggressive when they think that something they value is being taken away from them. They also tend to be aggressive when people or animals they consider part of their family or pack is threatened. They may also be defensive of areas they believe are part of their territory, such as your mail box. It can also have something to do with the dog’s breed, which explains why there are dogs that are more reactive. For example, pit bulls are known as fighting dogs while chow chows are known as guarding breeds. You don’t want to feel embarrassed every time you take your dogs out for a walk because they snap and bark at everyone they see. Training has to start while they are young. This way, they get used to dealing with people, especially children, and around other dogs. If you think your dog’s aggression is becoming uncontrollable, then this is the time to check with your veterinarian on whether your dog has aggression problems. It is also important that you keep an eye on your dog, because no matter what, you are liable for their behavior. Keep your family, other people and even other animals around you safe. Use a leash when taking them out for a walk, have them wear muzzles if they have a tendency to bite and always supervise your dog. While doing these things, it is also a good idea to observe your dog’s behavior. If they tend to be possessive of certain objects, keep them away from those objects to avoid any accidents. Related: Kentucky Dog Bite Series: Are Dog Breed Bans Working? As a Kentucky Accident Attorney, I would like to emphasize that physical punishment could make matters worse. This could cause your dog to become aggressive because they may start to get scared of you, thus making them even more aggressive. However, giving your dog treats to keep them quiet or to get them to go to a different room is not good either. 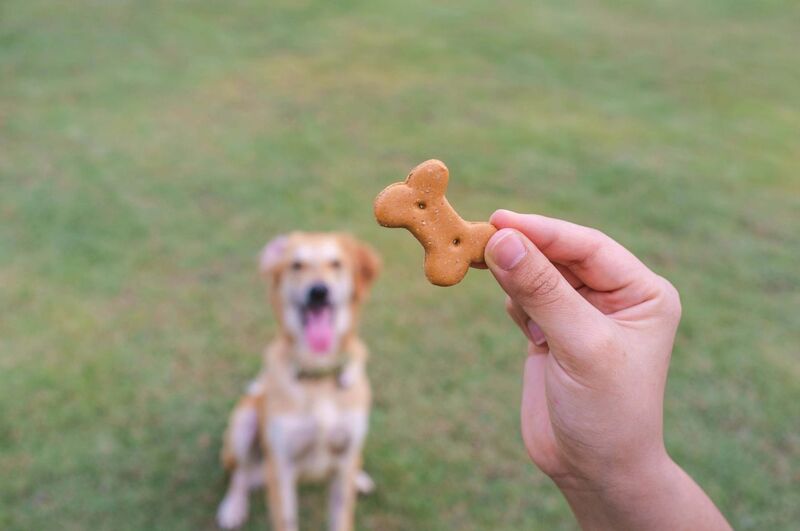 If you give them treats for behavior you don’t want, then you are training your dog to do that behavior more. We love our dogs, and we want others to enjoy them, too. Let’s start training our dogs at a young age and teach them how to properly behave around other people and animals.